Imagine playing Overwatch with the sound turned all the way down. No voice chat to help you coordinate with your allies, no audible clues when an enemy is looking to flank you, and no warning when McCree yells out what time it is. Now imagine playing around all that, all the time, and still managing to be one of the best players in the world. You can check out the exact moment that happened in the Twitch clip embedded below, and it’s heartening to see how much this milestone means. It’d be a pretty impressive feat for any player to have achieved, but in a game as audibly complex as Overwatch, for a deaf player to have done so is an incredible achievement. In the comments under a Reddit thread discussing Maxim76’s achievement, another deaf player ways in on the ways in which they need to engage with the game. Pepsivi describes “a rigid internal clock,” which helps to deal with flankers. Tanks are “a no-go,” due to the communication required, but characters like Mercy, Brigitte, and Reaper are better picks because they’re difficult to flank. That’s a sentiment that Maxim76 seems to share. 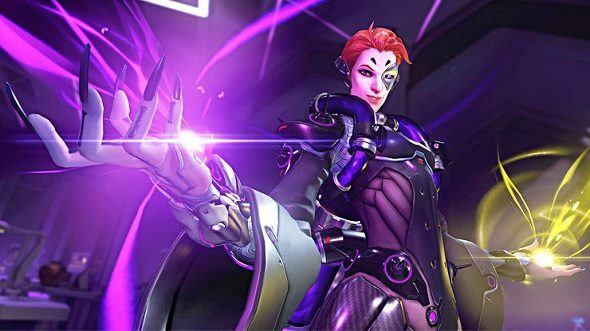 His Overbuff shows that in competitive games, he’s a pretty successful Moira main, with a selection of other supports making up the rest of his personal roster. Elsewhere in Overwatch, players are gearing up for what could be a new Archives Event. A recent teaser directed players to Havana, Cuba, where a mysterious organisation seems to be trying to pull off a hostile takeover. Given new hero Baptiste’s Caribbean roots, the latest arrival could be the focus of a new event.